You are here: Home / Can Good Come Out of Prison? / News / States / QLD / Can Good Come Out of Prison? Can Good Come Out of Prison? Pastor Brian Hicks has had a mixed relationship with prison ministry. 50 years ago, he was falsely arrested, and spent some time behind bars. Bitterness took root, along with a hatred for all police, not just for those responsible for his arrest. Finally released from prison, Brian was a free man. Working as a garbage truck driver and a barman, Brian had not been seeking the Lord. However, at 37 years of age, Brian heard the voice of God. “God got hold of me,” Brian says, recounting the miraculous ways God changed his life. Now, Brian is nearly 72 years old, “but I don’t look it or feel it!” he tells me. He recounts his journey to become assistant pastor of his church, and how his pastor asked him to visit someone in prison. All the memories of Brian’s past flooded back with feelings of pain and bitterness. “I don’t know about that!” he had told his pastor. Nevertheless, obedient to God’s call, Brian visited the inmate. They got along so well he ended up going back! One day, Brian had been praying in a prison waiting room, when he was approached by another visitor. “Are you a Christian?” the visitor asked Brian. Surprised, Brian looked up and asked incredulously how this man knew he was a Christian. “I heard you praying,” he replied matter-of-factly. Pastor Brian met with this man for a year, eating together and discussing the Gospel. The fellow visitor was even enlisted for his skills as a security guard for Brian’s church carols by candlelight event. “We kept meeting together and he gave his heart to the Lord. I didn’t know he would become a prison chaplain, and now he leads Prison Fellowship Queensland! 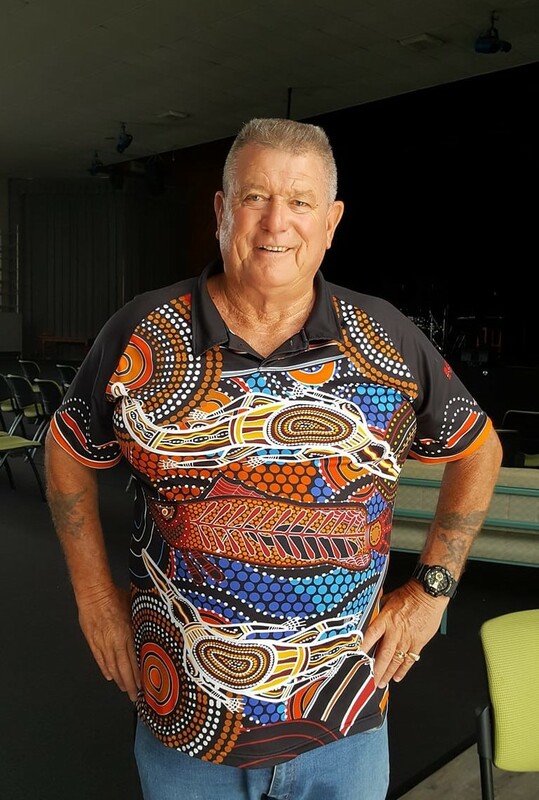 !” Brian’s new friend is now the State Manager for Prison Fellowship in Queensland, Graham Hembrow. Brian goes on to describe the ministry of Paul and Silas in the book of Acts, and the great works God performed through them and their time in prison. Pastor Brian tells the story of John*, a ‘lifer’. John was a backslidden Christian convicted of a serious crime. While John understood that God could forgive him, he was still unable to forgive himself. “I knew he was remorseful,” Pastor Brian says. They met together weekly for a year, until John was transferred to a different prison, much further away. “After that year, he sent me a Christmas card,” Brian recalls. Inside this card John excitedly reported that he had become a Christian again. Not only that, but the people he had wronged had come back and forgiven him, after nearly a decade of silence. Truly the Gospel Has Power Change on the Inside Begins in SA!